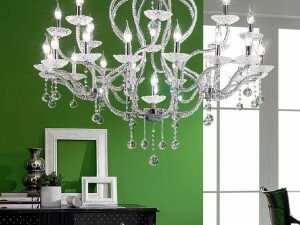 From Wrought Iron Swarovski & Murano glass lighting collection. 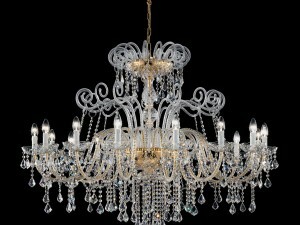 Perfectly blacksmithed handcrafted wrought iron chandelier, decorated with genuine Swarovski crystals and Murano glass antique style chandelier. This antique style wrought iron chandelier lighting artwork is perfect for any interior design projects. Custom colors upon request. 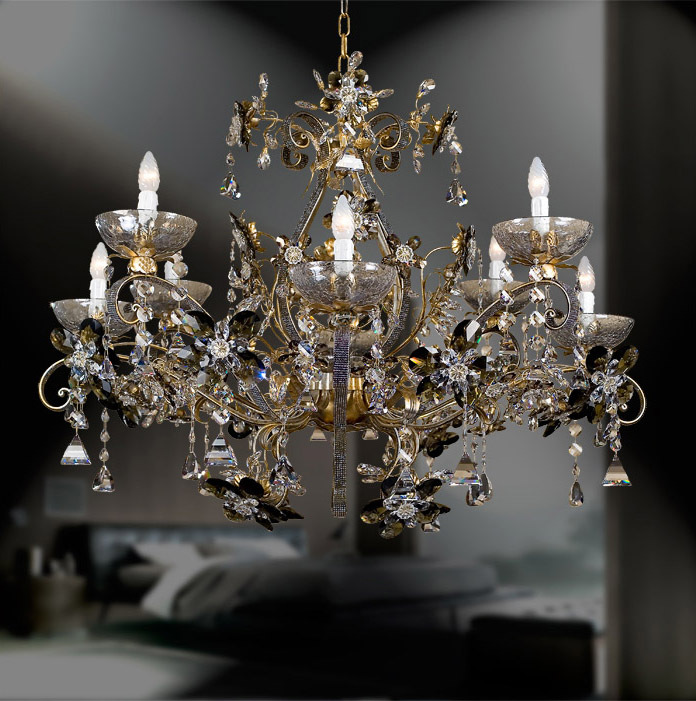 This chandelier is also available in 8 and 12 lights as well as custom size, custom Murano glass color and custom metal finishes upon your request.